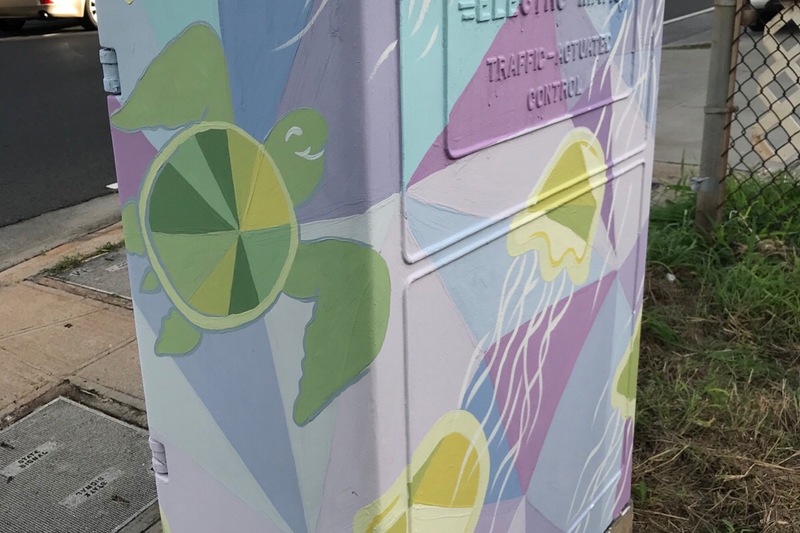 streetARThawaii is a grassroots organization that has local artists turn ugly gray traffic signal boxes, many that are covered with graffiti, into works of art. 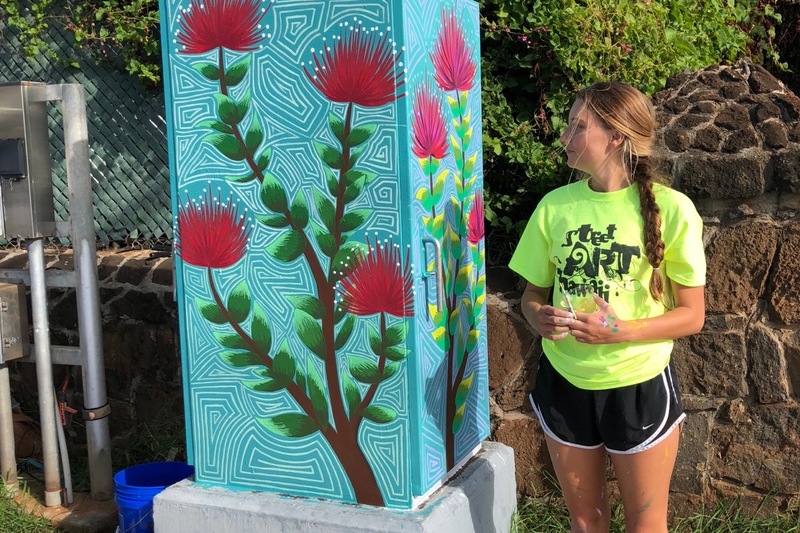 The first event was in Kaimuki along Waialae Avenue and Harding Avenue painting 13 boxes. 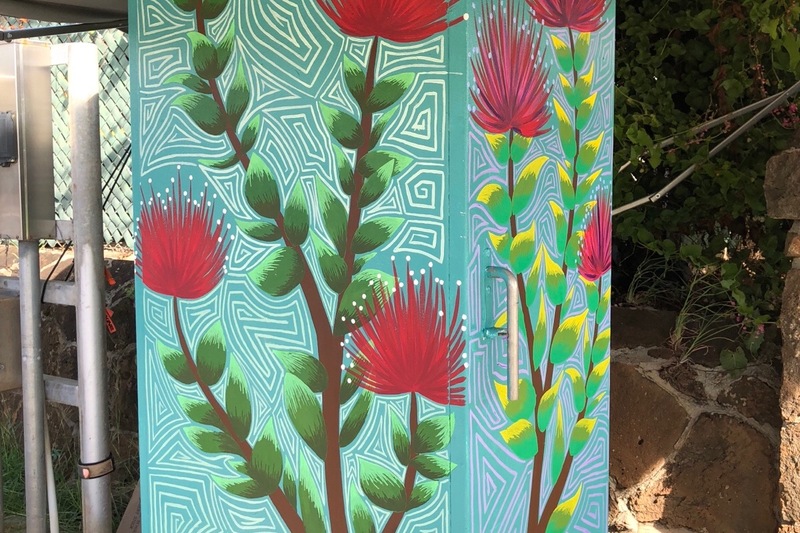 streetARThawaii will be starting on the second phase to complete all the boxes in Kaimuki. We need funds for paint supplies, t-shirts, and money for lane closure for those boxes too close to the street. In addition, we are in need of funds to paint UV sealant and anti-graffiti wax on the art boxes which is extremely expensive. We depend on donations from the community to continue our projects. 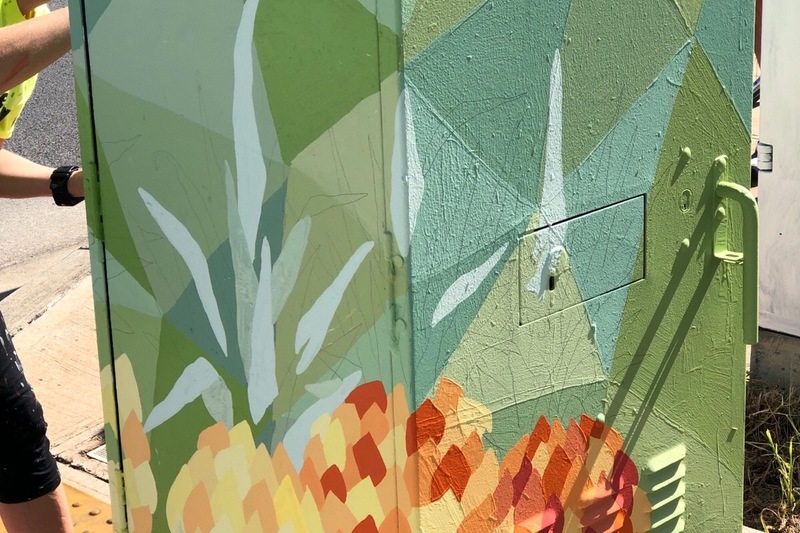 We recently did a small project adding a family of Mud Hens, because Waialae Avenue means Mud Hen Waters, on several buildings along Waialae Avenue. 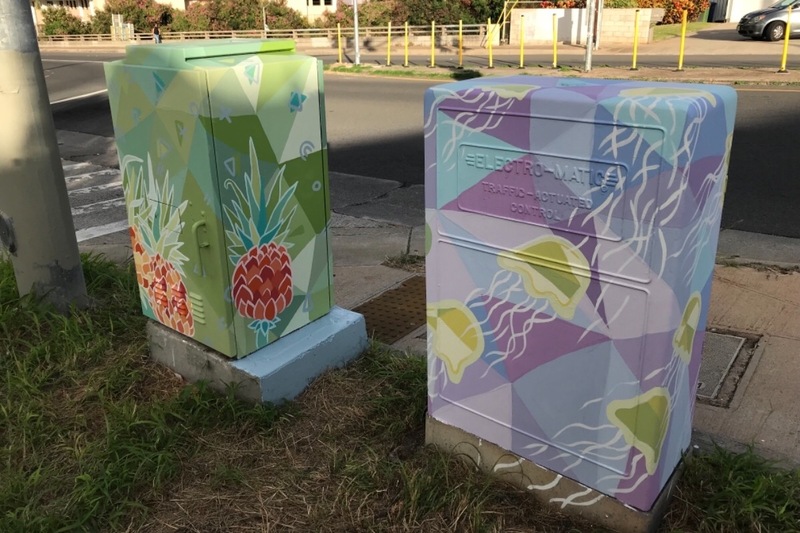 Once all the traffic signal boxes are painted streetARThawaii would like to paint some of the exterior drain pipes along the walls of Waialae buildings and turn them into works of art. We just need funding to continue the magic. Thanks to all that have donated to streetARThawaii!! Love hearing how much the Kaimuki community is enjoying the art!! 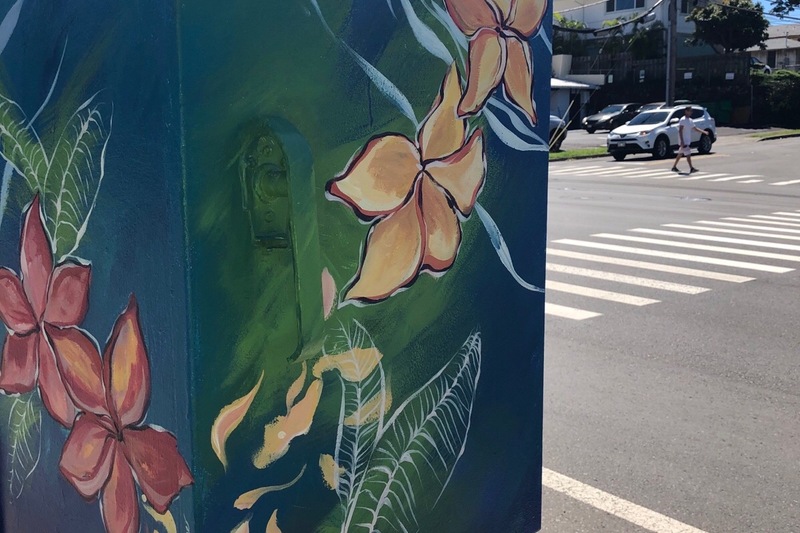 streetARThawaii is organizing the second phase to paint more of the the traffic signal boxes along Waialae Ave. 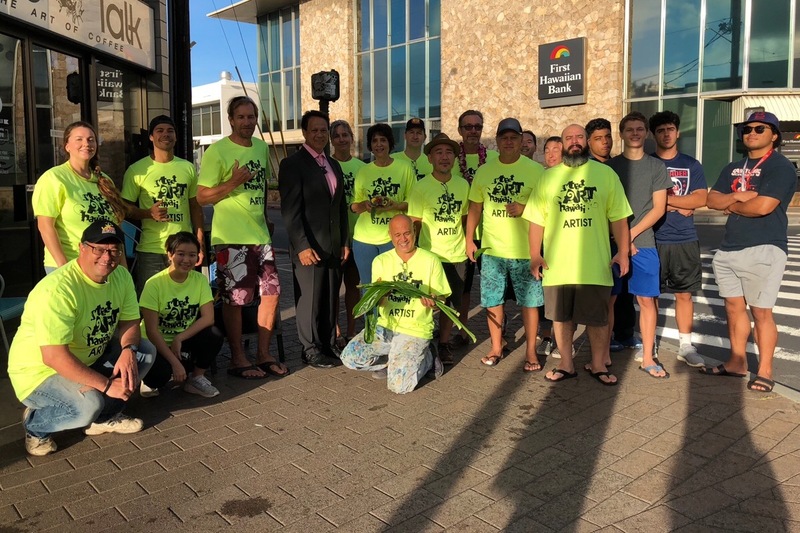 Anyone interested in donating to this Kaimuki beautification event is greatly through gofundme is greatly appreciated since this is a grassroots organization. The next phase of artists donating their time and talent to turn these ugly, gray boxes into works of art will be on Feb 23rd and 24th!! 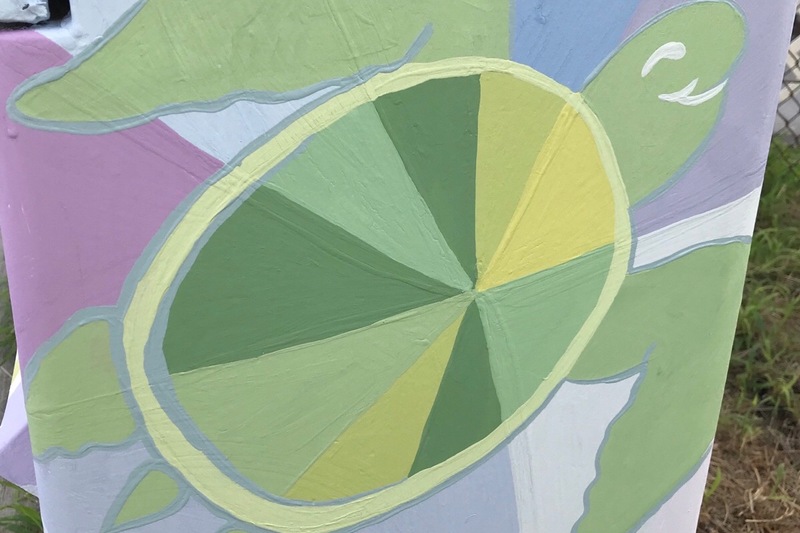 streetARThawaii has reached reached the halfway mark! Just $500 more to go! Two more boxes completed by Boz Schurr by the Koko Head exit! 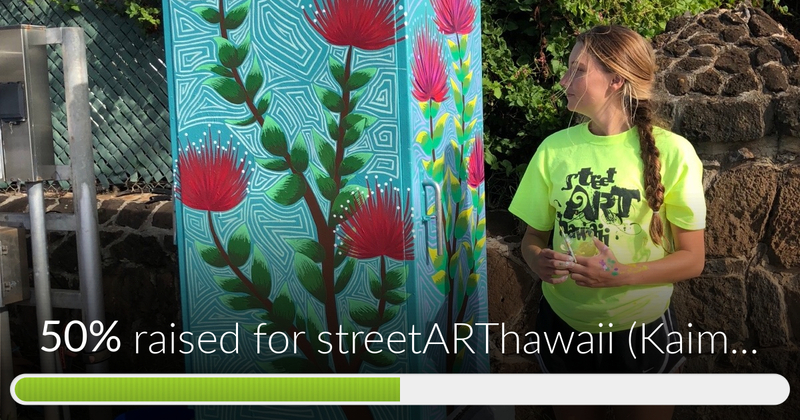 streetARThawaii (Kaimuki) has reached 50% of its goal!! Only $500 more to go. Check out new boxes on the Koko Head exit thanks to Boz Schurr! !